Send me the Free Ebook and everything else! As everything in life, blogs are not created equal. Too many blogs will waste your time with mumbo-jumbo textbook-like generally speaking advice. Not me! I know all too well that freelancers or small business owners, your time is precious - I'll save you some! I'll let you tap into my personal experience and experiments. Send me the ebook already! 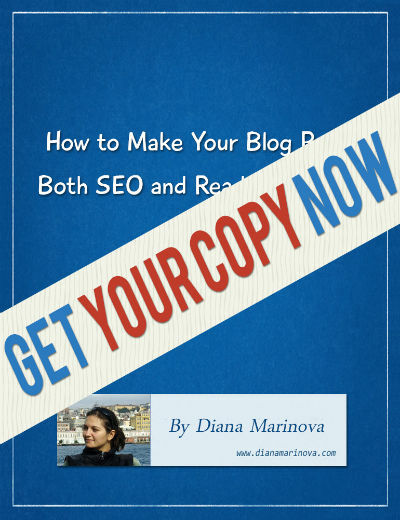 Ready to make your blog posts SEO and readers friendly? Yes, send me the book!